cabLase supports marking without the need of a PC. 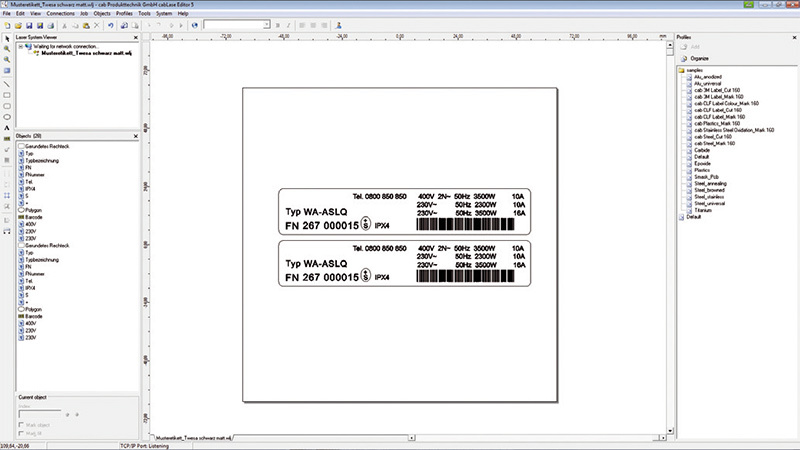 Marking layouts and associated fonts are downloaded and then transferred to the laser control for further management. Allows process control and monitoring by digital signals. cabLase allows to be remote controlled via serial, Ethernet or ProfiBus connection by a host control e.g. PC, PLC. 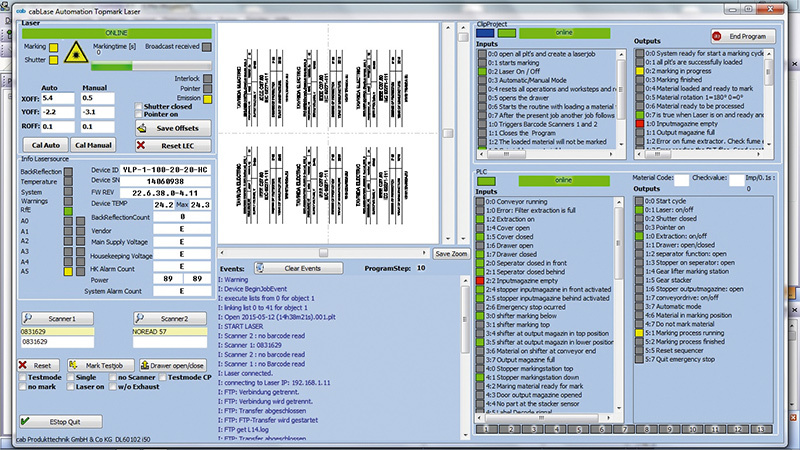 Programming commands are available to select layouts, to change marking data, for process control and monitoring. Specially designed to be integrated into demanding manufacturing environments. Allows to generate objects, its parameter setting, management and processing of associated layouts and variable contents externally from a PC or via PLC. For individual, customizable marking applications. Offers a command library with all functions of the marking software cabLase. 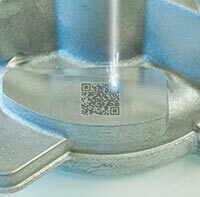 cabLase offers program modules for the integration of laser marking systems into MES and ERP platforms. As member in SAP’s Printer Vendor Program cab has access to e.g. implement marking applications to the SAP data stream. Industry 4.0 and the Internet of Things symbolize tomorrow’s smart production. Software for users and connectivity are key technologies to be implemented. cab FL+ marking lasers are designed for the future and supplied with all necessary program and data interfaces. We will be pleased to advise you on questions about your application! Marking on 'smart' key rings with cab fiber lasers. Fonts All TrueType fonts installed in Windows, filled or as outline, laser specific single, double and triple line fonts. All fonts can be freely scaled and „wobbled“. Graphic formats PLT, DXF, BMP, JPG, PCX, WMF, EPS, TIF; All graphic elements can be scaled, moved, rotated, grouped or mirrored. Special tools are available to align the objects.